A revolutionary new cycle to work scheme is making it happen. With no £1,000 limit, any bike of any value is possible. A not for profit Social Enterprise with a mission to get more commuters out of their cars and onto clean é-bikes because cleaner air helps us all. They’re FCA authorised so unlike the old fashioned C2W schemes there’s no £1,000 limit. We can often finance the bikes so there’s no impact on employer cash-flow. It’s a no cost employee benefit. We know that 42% of people who don’t cycle to work say they don’t because, they’re not fit enough, it’s too far, there is a hill and they don’t want to arrive hot and sweaty. An e-bike solves all these issues at a stroke. 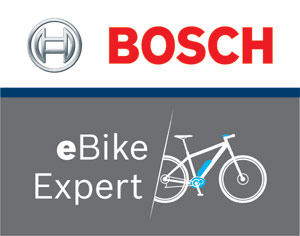 E-bike assistance means that you can cycle in normal clothes and arrive looking cool and stylish. Hills are no longer a struggle and before long your e-bike will become a vital part of your life. Academic research shows that e-bike riders use their cars 20% less. Why wouldn’t you? You can park anywhere without hefty car park charges. You can use pleasant cycle ways instead of congested, polluted roads and nothing is as much fun as an e-bike at the weekend! e-bikes work by providing assistance so it’s as if you suddenly have Chris Hoy’s legs. The assistance will cease if you stop pedalling so riding one is just like a normal bike but with stronger legs.